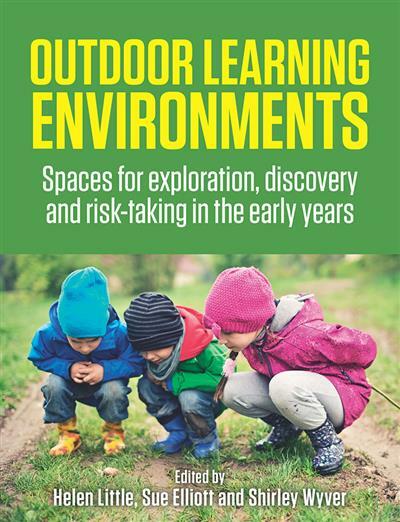 Outdoor Learning Environments Spaces For Exploration, Discovery And Risk-taking In The Early Years | Free eBooks Download - EBOOKEE! Posted on 2018-11-16, by nokia241186. Educators have a key pedagogical role in promoting early years outdoor play in natural environments. Active outdoor play involving risk-taking has been linked to positive effects on social health and behaviour, and encourages physical activity and motor skill development. At the same time, it has been recognised that opportunities for children to experience outdoor learning have been reduced in recent decades due to the impacts of technology, urbanisation and social change. This book brings together renowned authors, with research and professional experience in a range of disciplines, to provide a comprehensive guide to developing positive and engaging outdoor learning environments in the early years. Part 1 looks at pedagogy and outdoor environments, and considers the value of risk-taking and developing a young child's appreciation of the natural world. Part 2 examines the key principles involved in the design and planning of these spaces, such as applying the relevant equipment standards and regulations. Part 3 explores how educators can develop an understanding of children's own perspectives on outdoor spaces, including promoting agency and recognising the importance of private playspaces. Part 4 examines different cultural perspectives on outdoor play, including Indigenous approaches, while Part 5 considers the range of experiences possible beyond purposefully-designed spaces, from visiting nature reserves to exploring urban environments. No comments for "Outdoor Learning Environments Spaces For Exploration, Discovery And Risk-taking In The Early Years".